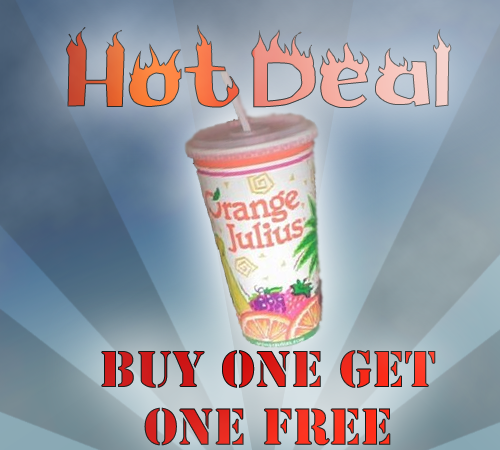 Enjoy the fresh tasting premium smoothies at Orange Julius (a chain ownd by Dairy Queen). Today, I bring you a buy one get one free coupon for you to enjoy it even more! 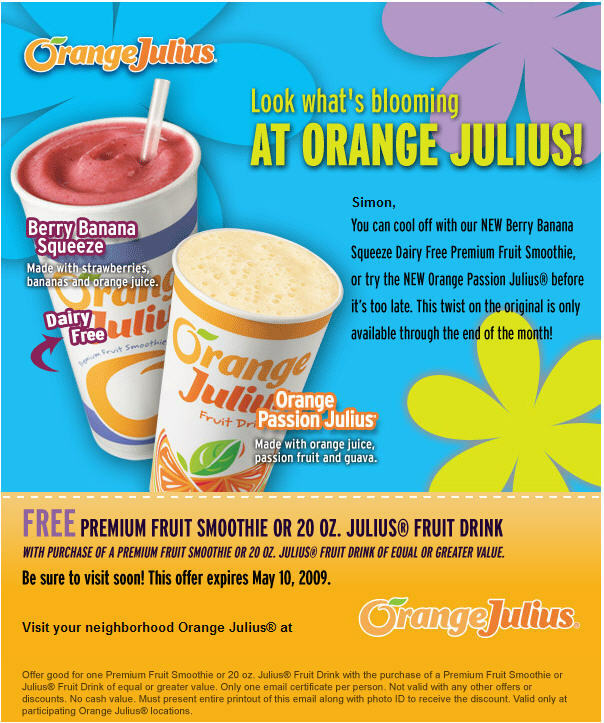 Orange Julius currently has a great deal that if you sign up for their OJ Quench Club, you’ll get a buy one premium fruit smoothie, get one free coupon! Yes, no “Easter eggs” to find this time. It’s also worth a mention that this sign-up includes birthday coupon and “special offers”. Now if you want my opinion on Orange Julius, I think that they are some of the sweetest smoothies ever. But also really good (probably because of all the sugar). So those on a diet, not for you! Now if you don’t want to sign up, I have posted the coupon yet again. This however requires the name on your coupon to match your photo ID (which requires sign up). Note: I do not support nor work for the company. I am simply passing on what I believe is a great deal! As always, I take no responsibility or liability for use of these coupons, USE AT YOUR OWN RISK! This is only available in participating Orange Julius locations.